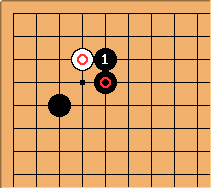 It isn't expected that White can safely ignore : but this has been seen in pro games. Naturally has a huge effect on : but there remains something for White in the position. White can start with to salvage something from the position. White can also try for life in the corner. If is at a to defend the cutting points on the outside, White lives with b. 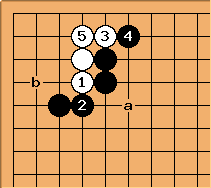 Naturally all depend on White's chances of fighting a way out on the upper side, if Black takes a stronger line. 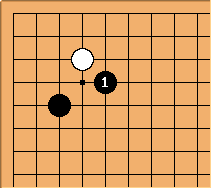 Another tenuki line, in fashion in the 1960s, comes when White ignores to play elsewhere. 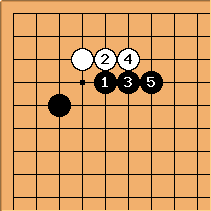 This was a move of Kitani, also used by others. Then is a move to build thickness. 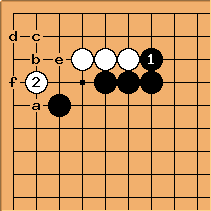 With White is alive; Black a after it threatens the corner with ko (Black b-f).